Phone Services Directory of Phone Services Providers. Phone Installation Services and Phone Consultants. Are you looking for phone related services? Database Systems Corp. (DSC) provides call center technology including phone systems and call center software. EasyIVR is our service division which provide interactive phone services and voice broadcasting phone service. Information about telecommunications products and services can be easily provided to callers using our interactive voice response systems. Using our 800 number service, callers have access to any information that you chose to make available and our technology displays search results from networked databases as well as from the internet. The following is a list of organizations that according to their website descriptions provide phone related services such as phone installations and consulting. These services are complementary to our product offerings. If your organization provides any of these products or services and if you would like your website included in this directory, please use our Submit Phone Services Website form. It's FREE and simple to add your website. We offer complete inbound call center services as well as contact center outsourcing. Our inbound call center service center processes phone calls using an interactive voice response (IVR) system that answers toll free number phone calls without an operator. A PLUS TELECOM CORPORATION prides itself in providing a comprehensive Telecommunication Solutions for small and large businesses in New York, New Jersey, Connecticut, Pennsylvania, Delaware and Maryland. Our Technical Staff is comprised of highly trained Avaya Certified Technicians, Design Consultants and Project Managers. ConnectMyPhone allows customers shopping for local phone, long distance, voice over internet protocol or high speed internet service to compare and order those services online. ConnectMyPhone allows you to save valuable time by circumventing the traditional process of calling your phone company, preventing long hold times and other hassles. If you are looking for a new Corporate Wireless provider, you should call us first. Fortune Consulting has the expertise and experience to make the best deal for you with your carrier or provider. That's our strength. Managing a corporate wireless capability means making a lot of important decisions. What features do you need today? What special wireless needs does your organization have? How do you know which vendors will do the best job? We take pride in our clean cabling installations. Upon completion of our jobs many clients state that our installations are the neatest they have seen. Customer satisfaction is why over seventy percent of our business is either repeat or referral. You can be assured that our experience and dedication to professional standards will result in a completed job that will meet your present and future needs, and remain trouble free for years. Shasta Telephone is a division of Interstar Networks aka Shasta.com. 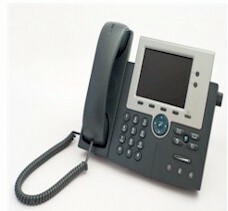 We provide complete business phone systems, long distance services and various other telecommunications related services. Please contact us for more information. Because of our proven results with superior, ROI-focused telecom expense management solutions, companies with significant voice and data spending select TelAssess telecom cost management products and services. TelAssess delivers the TTCM solutions that companies need most such as telecom management software, network telecom consulting, telecom contract negotiation, phone bill audits and more. We have the experience, processes and knowledge to improve your network, lower your spending, and boost your corporate profitability. Welcome to Teleco, serving Scottsdale, Arizona and surrounding areas. Our experienced team of skilled professionals provides expert sales and service of voice mail systems, data cabling, cell phones and more. Teleco uses only the best products available from NEC, Toshiba, Qwest and Avaya. Zen-Tel offers customizable business telecommunications and network solutions from Nortel, Norstar, Siemens/Rolm, and Avaya. Free consultation is available for all communications equipment purchases. Top quality telecom consultation, network design, installation, training, and maintenance contracts from Zen-Tel will ensure that your system stays operable so that you get the most out of your communications infrastructure investment. Contact Database to learn more about our call center products including our interactive voice response and voice broadcasting services.